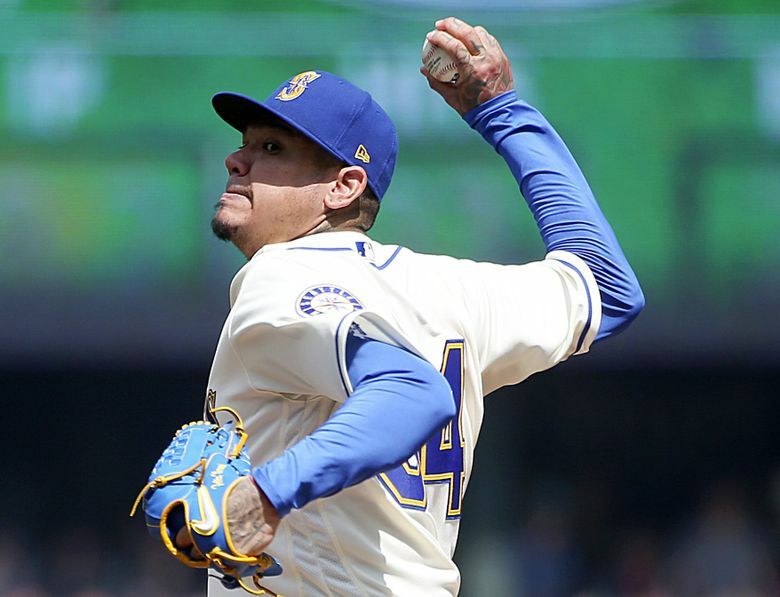 The M’s didn’t get to the Angels’ new two-way star until the seventh inning, but by then they were already down six runs as Felix Hernandez gets bitten by two homers and some bad luck. 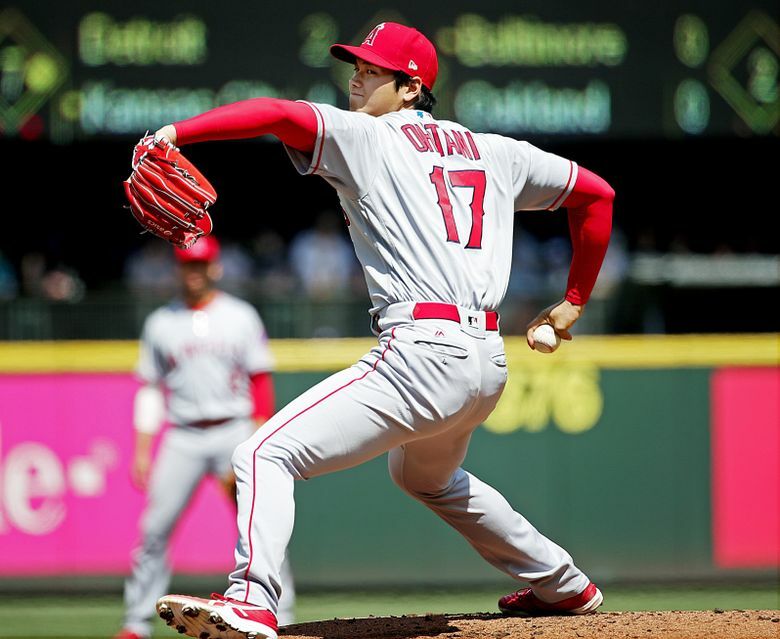 At some point, the hurt and disappointment of seeing Shohei Ohtani in an Angels uniform will fade from the minds of the Mariners and their fans. Though the resentment might still remain for years. 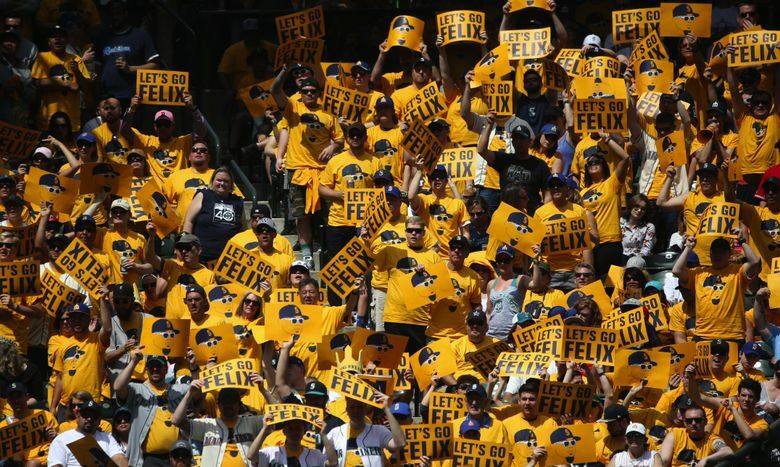 After facing him as a hitter and a pitcher for the first time in this weekend three-game series, the daydream of “what could have been” can be replaced by the dread of “what will be” in facing him more than a dozen times in a season in either capacity. 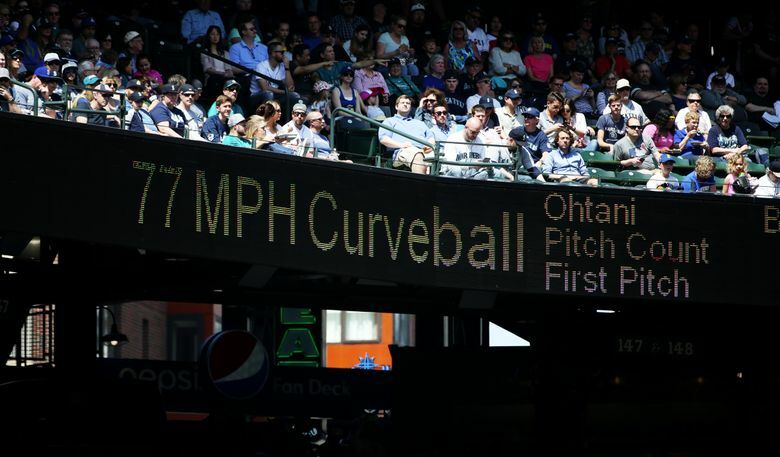 On a beautiful Sunday afternoon at Safeco Field, the Mariners saw the pitcher they’d hoped to add to their rotation this offseason carving up their powerful lineup with precision, throwing 97-mph fastballs on the corners with diving split-fingers and exploding sliders for swings and misses. 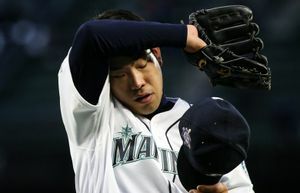 Everything the Mariners hoped he would be for them, he did against them in an 8-2 loss to the Angels. 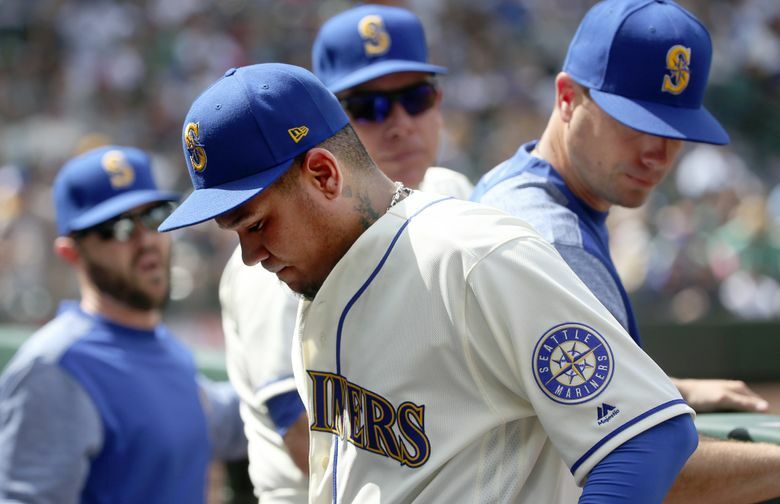 It was a disappointing end to the homestand and the series for the Mariners, particularly after Saturday night’s ridiculous come-from-behind win in extra innings. 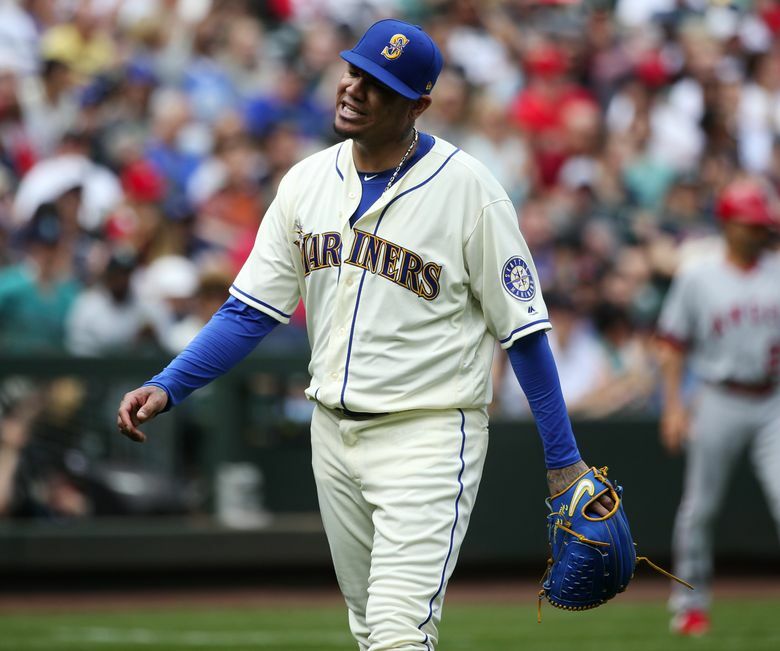 For the first time since facing the Astros in April, the Mariners lost a series. They had won four in a row. 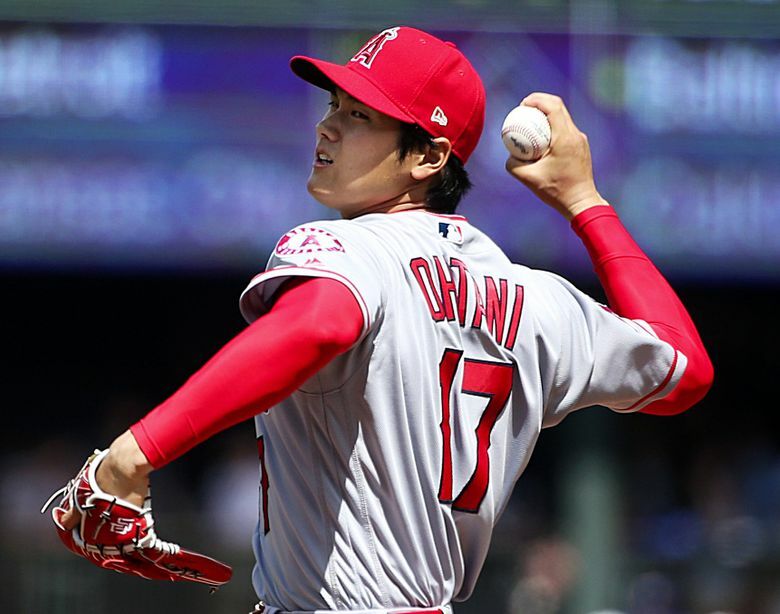 Ohtani didn’t allow a run in his first six innings and struck out six batters. 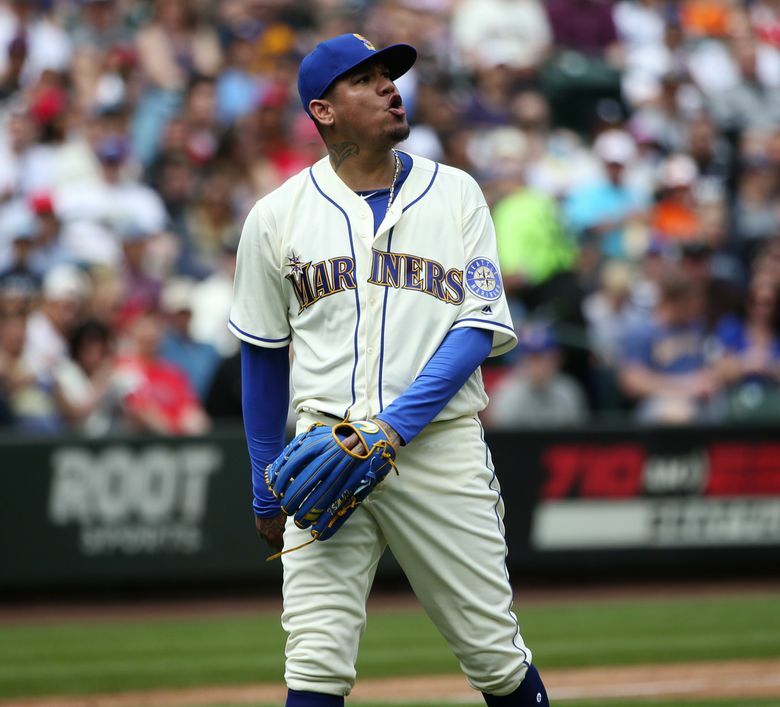 Seattle mustered two singles from Kyle Seager, a walk from Ryon Healy and curveball off the rear end of Nelson Cruz for base runners. 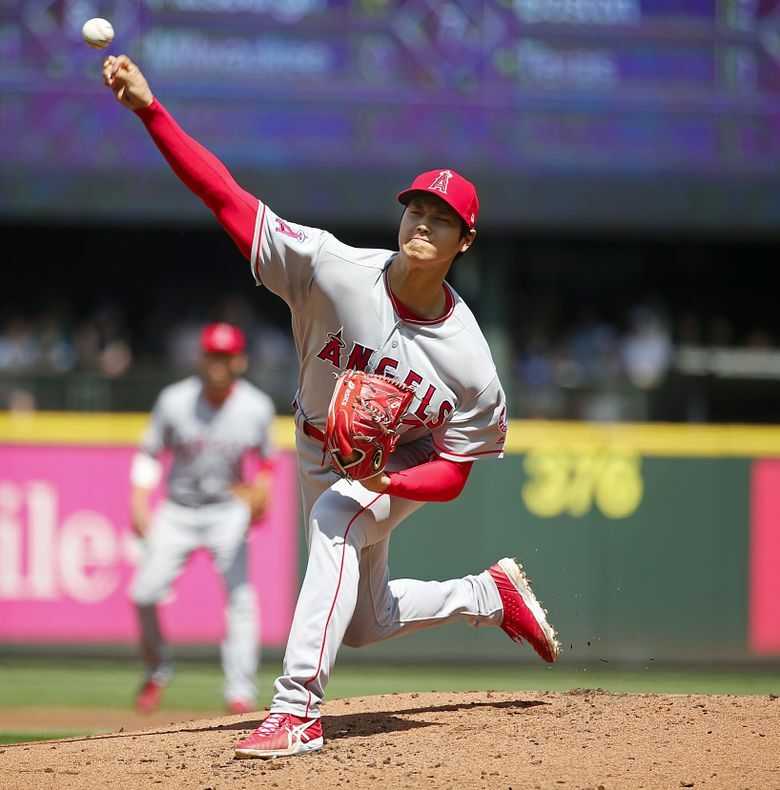 It’s never enjoyable for hitters to see a pitcher for the first time, but it’s magnified with pitchers such as Ohtani that possess such velocity and movement. It won’t make it easier, but it will make it familiar. 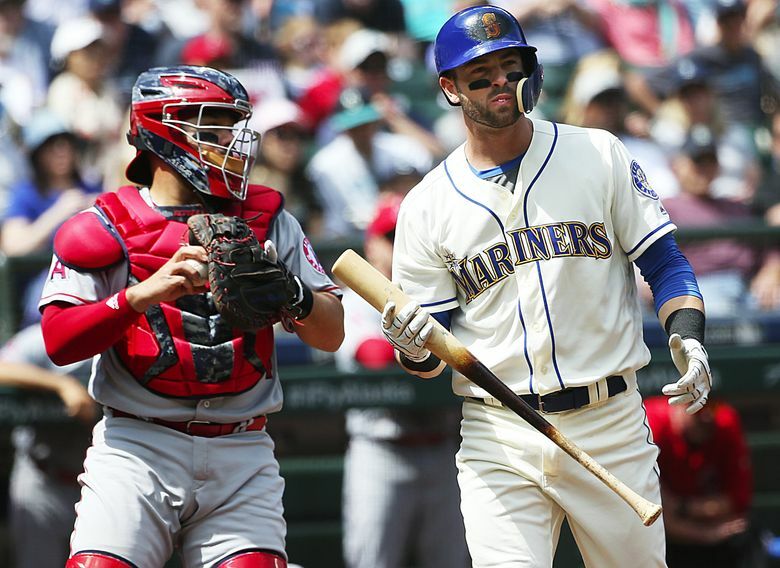 Healy had the biggest hit of the game off Ohtani. 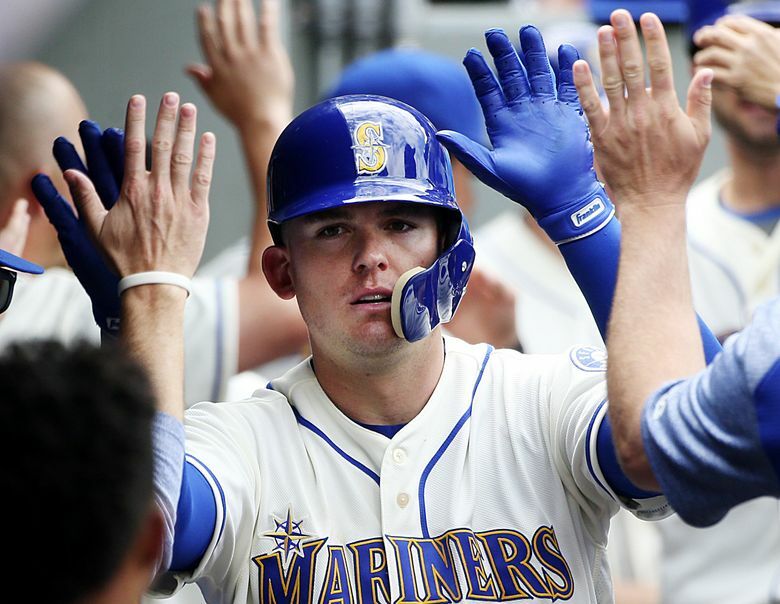 In the seventh inning, following a Mitch Haniger single, Healy hammered a 3-2 slider down in the zone over the wall in left field for a two-run homer. 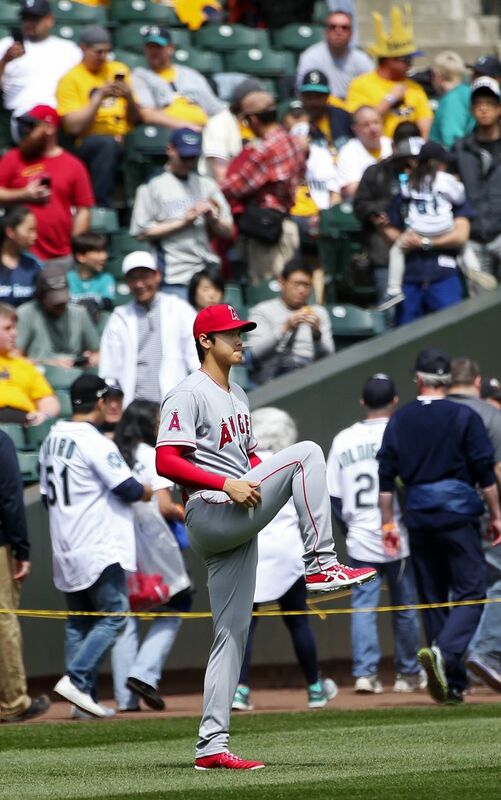 Ohtani walked Mike Zunino and was lifted from the game. 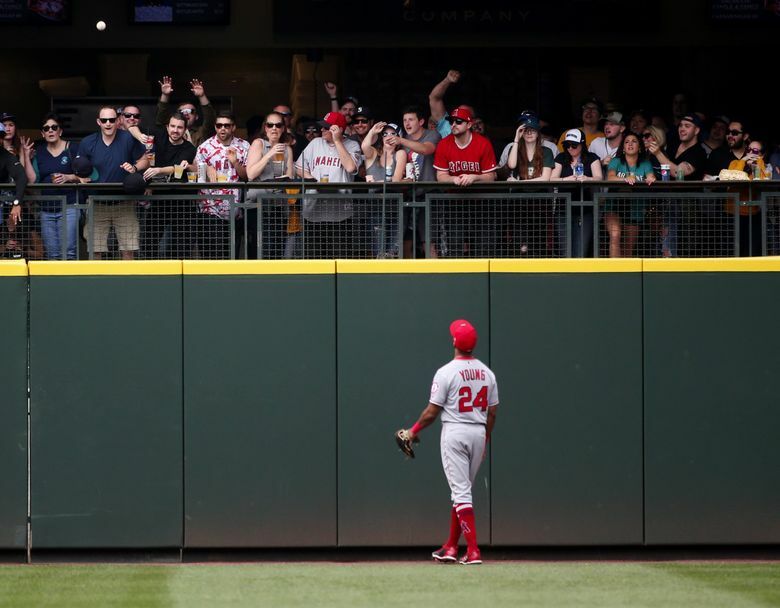 Healy’s homer might have been a game-changer for the Mariners had the Angels not thrown up a four-run sixth inning for a 6-0 lead. 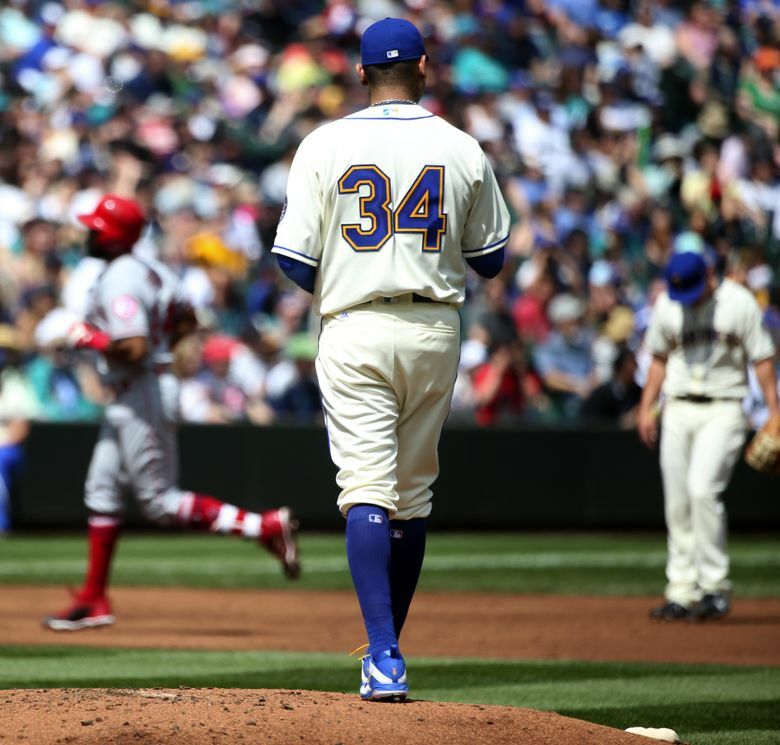 Seattle starter Felix Hernandez maneuvered his way through five innings without great command or stuff — an increasing trend — and allowed just two runs on a pair of solo homers in the second inning to Zach Cozart and Chris Young. Hernandez has allowed homers in all but two of his starts this season. But the homers only produced two runs for the Angels. A Hernandez strikeout led to four runs in the sixth. Indeed, Hernandez retired the first two batters of the sixth with ease and appeared destined for a 1-2-3 inning. Up 1-2 in the count to Young, Hernandez uncorked a biting curveball that Young flailed at. The pitch was well in front of the plate and Zunino’s attempt to backhand it failed. The ball bounced to the screen and Young hustled to first. Hernandez never recovered. 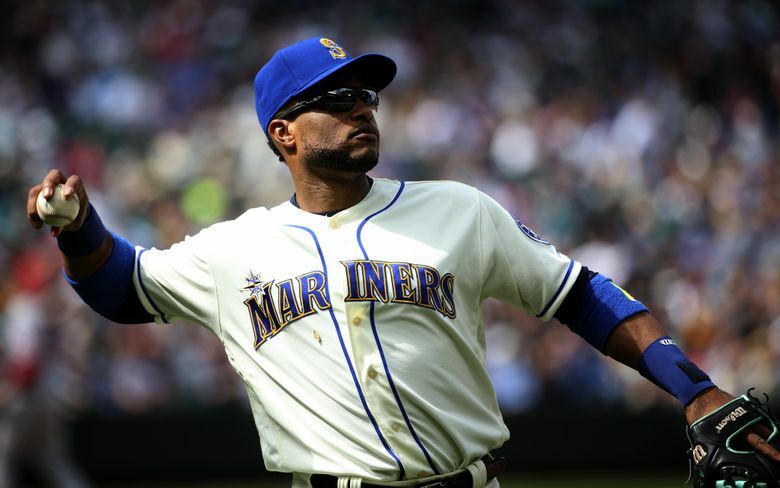 Rene Rivera, the No. 9 hitter, doubled to right-center to score Young. A walk to Ian Kinsler ended Hernandez’s outing. 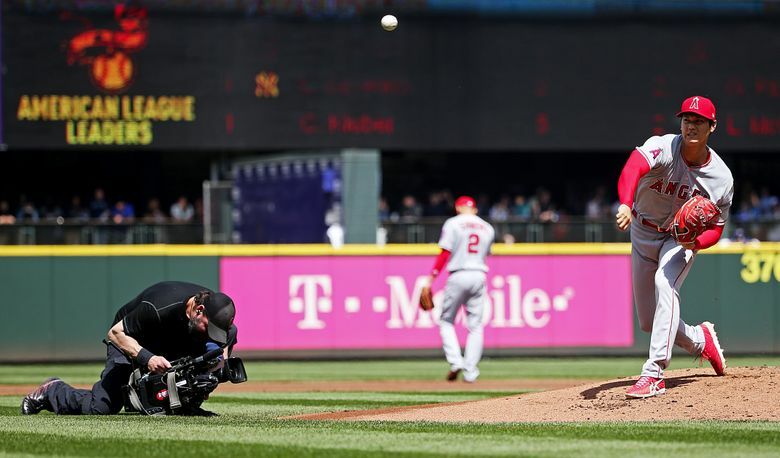 But the runners on base were his and they scored moments later when Mike Trout crushed a 1-0 pitch from reliever Chasen Bradford for a three-run homer and a 6-0 lead. The possibility of allowing zero runs went to four runs allowed all because of one curveball in the dirt. 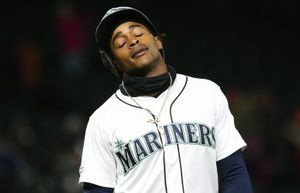 If Young is out, then Healy’s homer ties the score at 2-2 and the Mariners play the remaining innings against a shaky Angels bullpen differently. 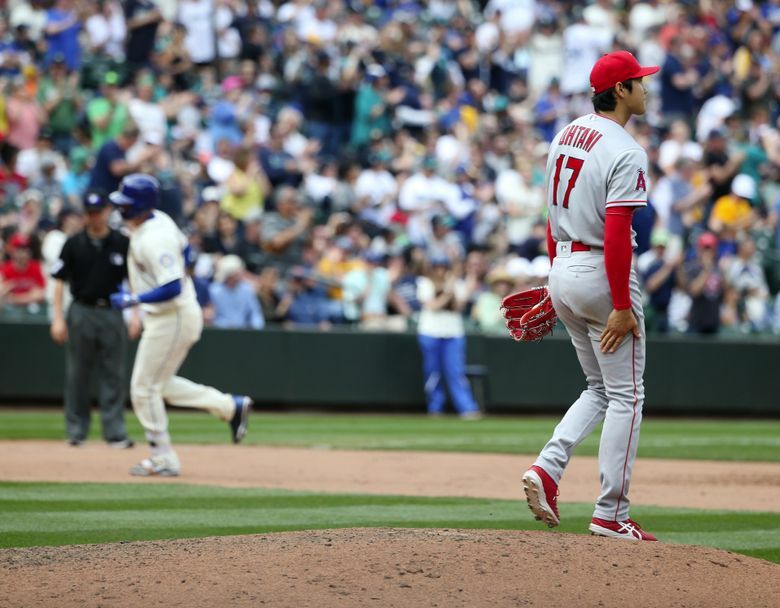 Seattle wasn’t without other chances against Ohtani. 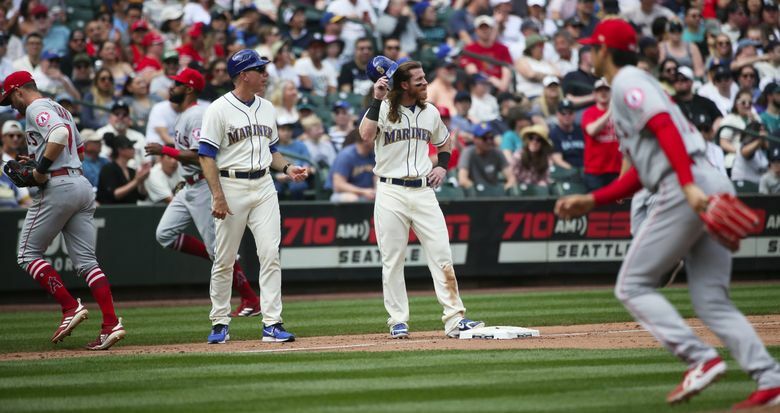 In the bottom of the fifth, Ben Gamel was thrown out at third by Trout to end the inning. 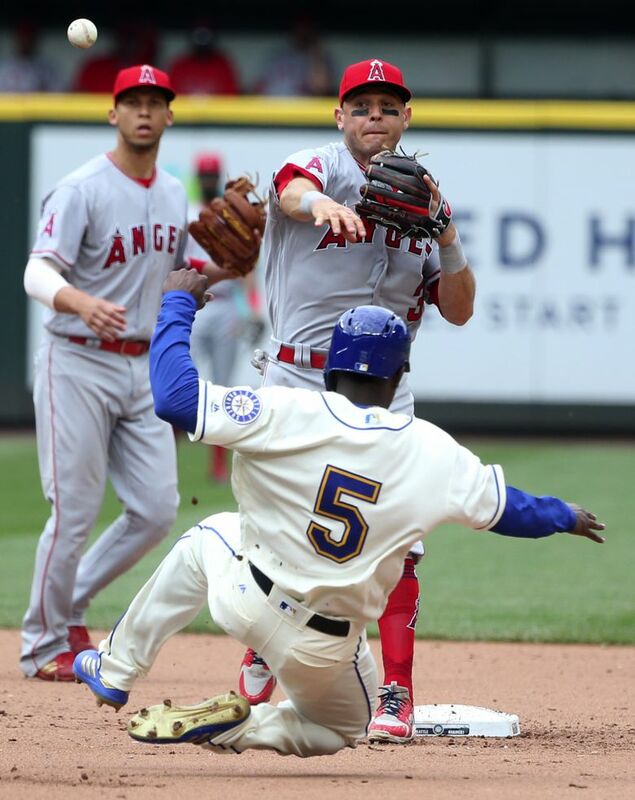 Gamel was trying to go first to third on a single to center by Dee Gordon. He was initially called safe, but replay overturned the call as his foot lifted off the base momentarily on his slide while the tag was still being applied. A four-run lead isn’t impossible to overcome for Seattle. 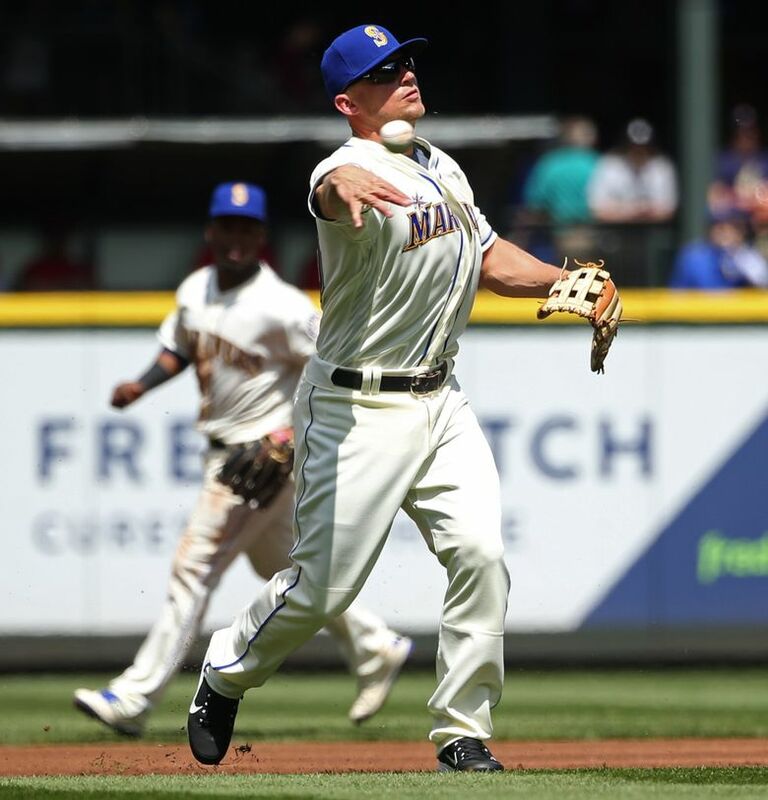 They had runners on first and second with two outs in the seventh after Ohtani left, but Gordon grounded into the first of two double plays in the game that killed Mariners rallies.